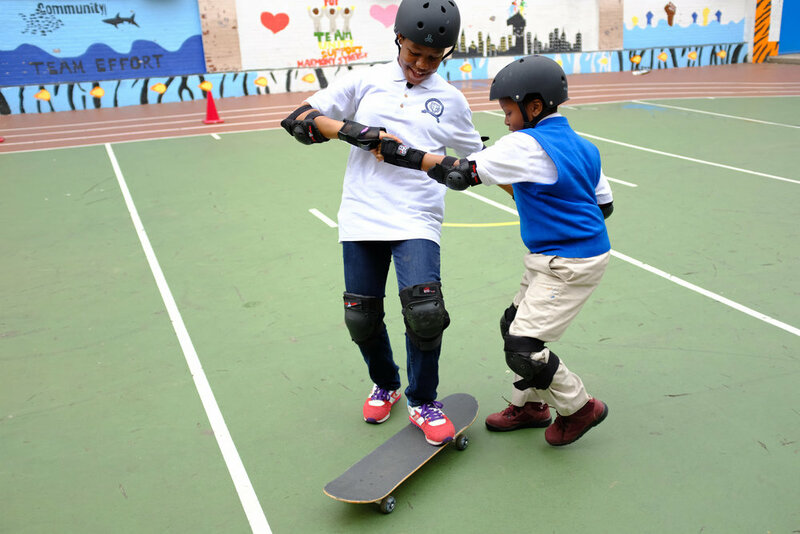 We're proud to boast that STOKED alum, Taimir Johnson, started coaching at PS 76 in Harlem in April as part of a program funded by the Heisman Trophy Fund! Middle schoolers are building skateboards from scratch over 12 weeks. STOKED is also supporting the school's gym coach by providing skate instruction during PE. Taimir will graduate with his associates degree from Kingsborough Community College this spring. He is also a dedicated STOKED mentor on his free weekends.